Hey everyone! Can you believe that we’re just over a week away from Thanksgiving? I’m still trying to wrap my head around where this past year has gone. Even though Turkey Day hasn’t arrived yet, bit by bit, I’m getting my house ready for Christmas. 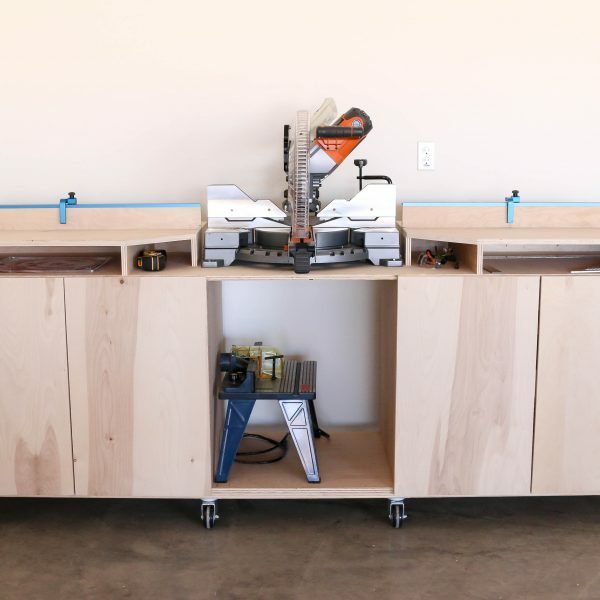 This way I’ll be all ready to share my Christmas home tour with you in a few short weeks! 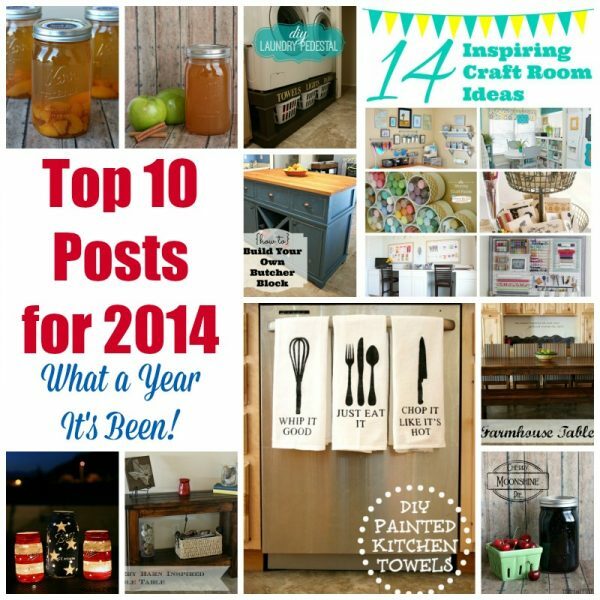 My boys are loving the idea of decorating early for their absolute favorite holiday. This week, I’m working on a ton of projects, and one of them was this simple Pottery Barn knockoff. 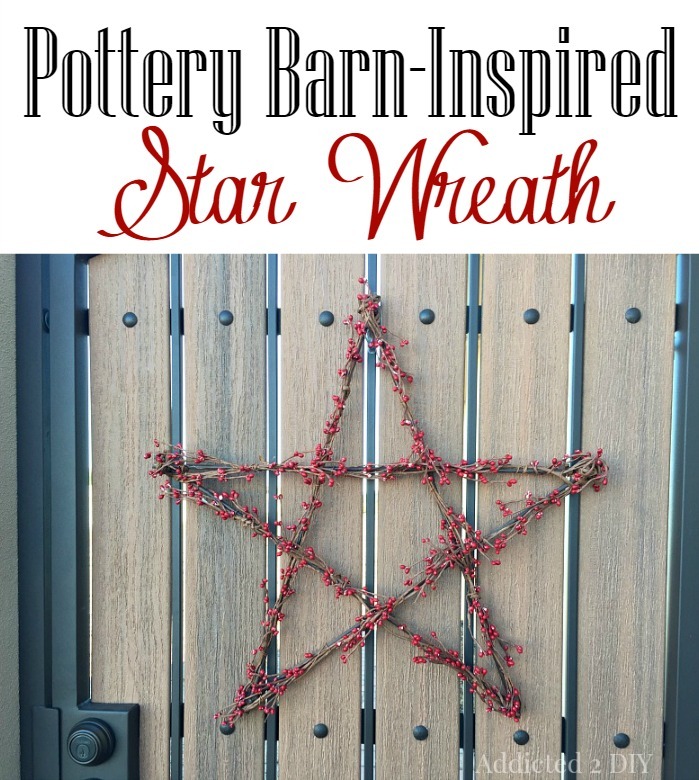 I spotted this red star wreath on the Pottery Barn website several months ago and I fell in love with it! The rustic look of this wreath is so gorgeous, but the $199 price tag was not going to fly with my husband. 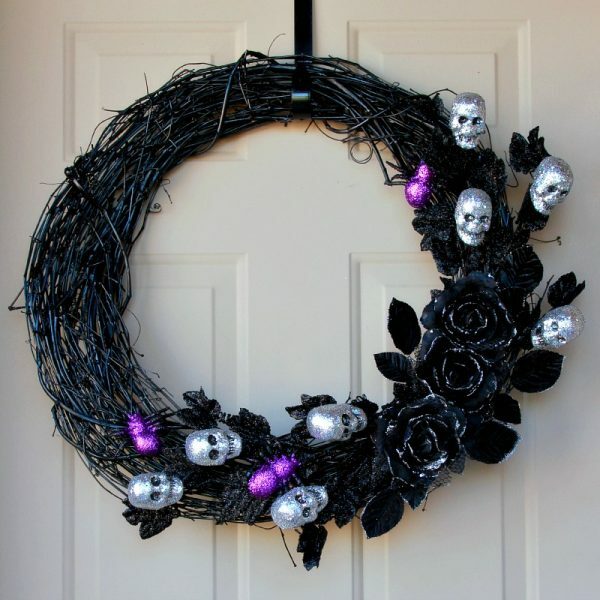 I knew almost instantly how I could make my own version of this pretty wreath for a fraction of the cost. 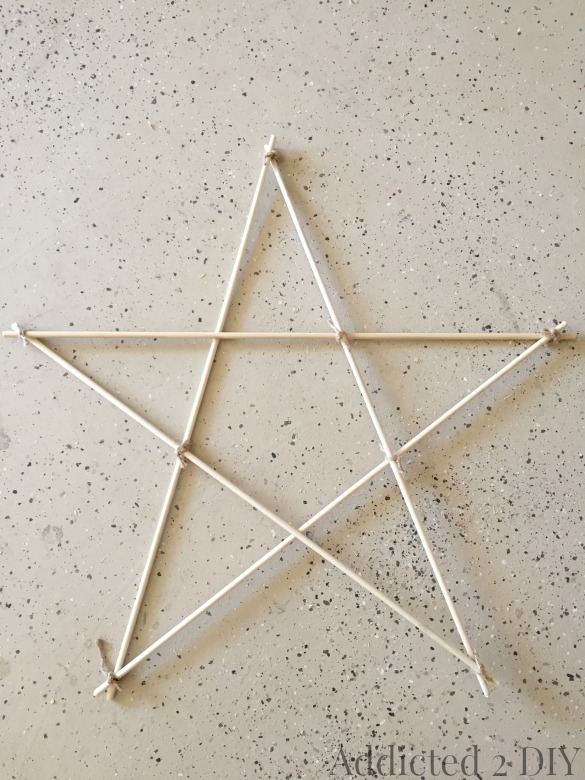 I started by making my star shape with 1/4″ wooden dowels. I cut them down to 24″ lengths and tied them together with jute twine. I then used my hot glue gun to glue and secure all of the joints. 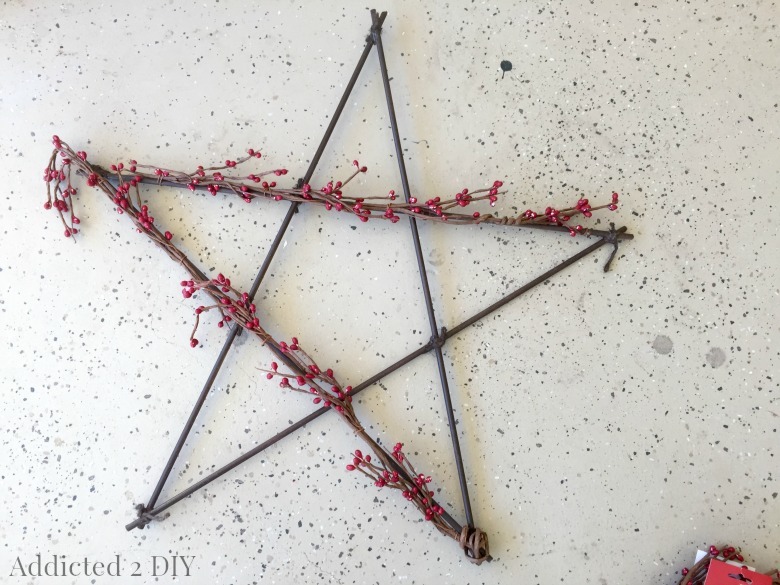 I spray painted the star dark brown and bought three strands of berry garland from Michaels. 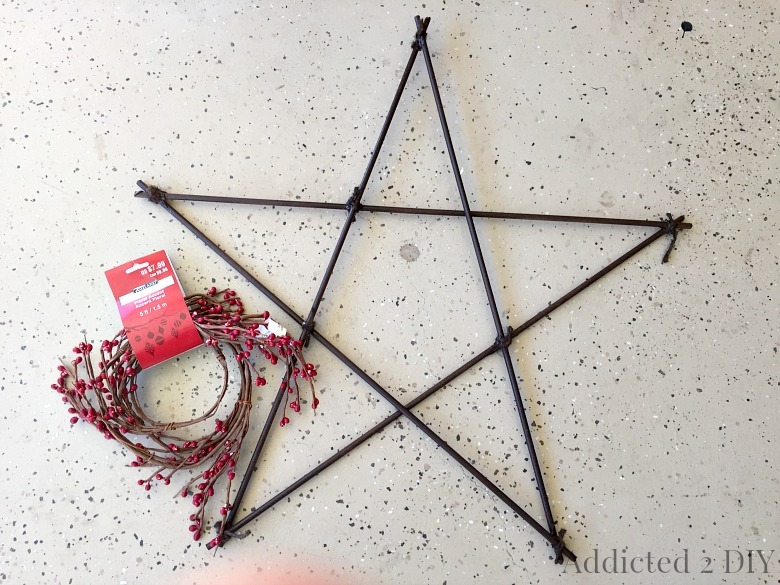 The garland is all wrapped wire, so I secured the end of the garland to a point on the star and started placing the garland over the dowels. I couldn’t find any brown floral wire, so to secure the garland, I unwrapped some of the wire and wound it around the dowels and garland. One strand of garland gets a little over 1/3 of the star covered. I just continued where I left off with the remaining strands. 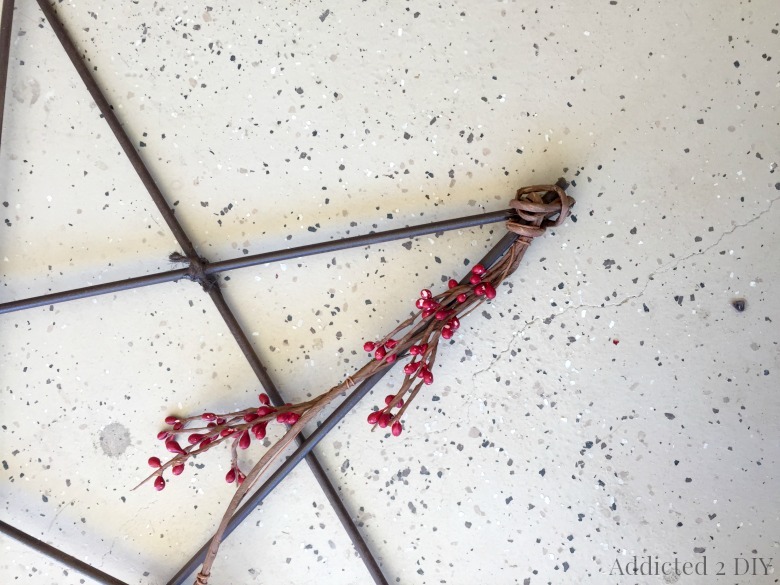 Once the third strand was placed on the dowel star, there was a bit of an excess of garland. 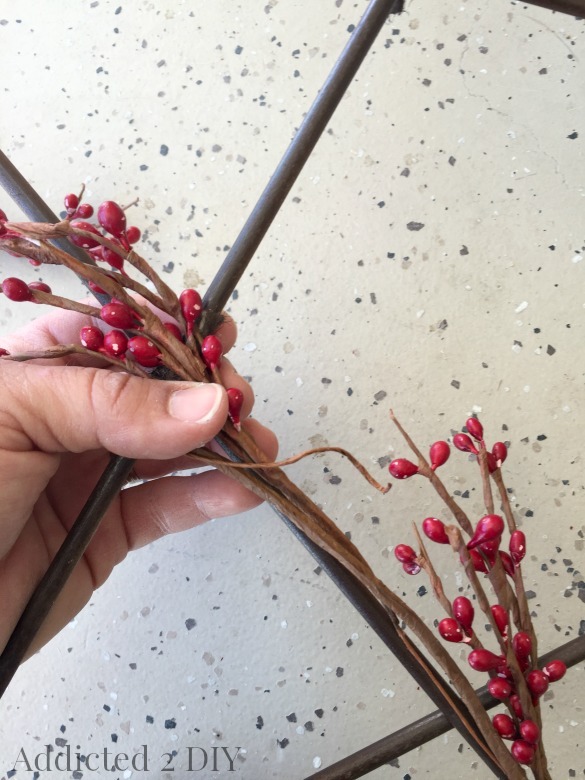 I snipped it off with wire cutters, then I unwound the individual berry clusters and wrapped them around any areas of the wreath that looked a little bare. We’re doing tons of work to the outside of our house and yard right now and one of these things was a wall and these gorgeous gates. 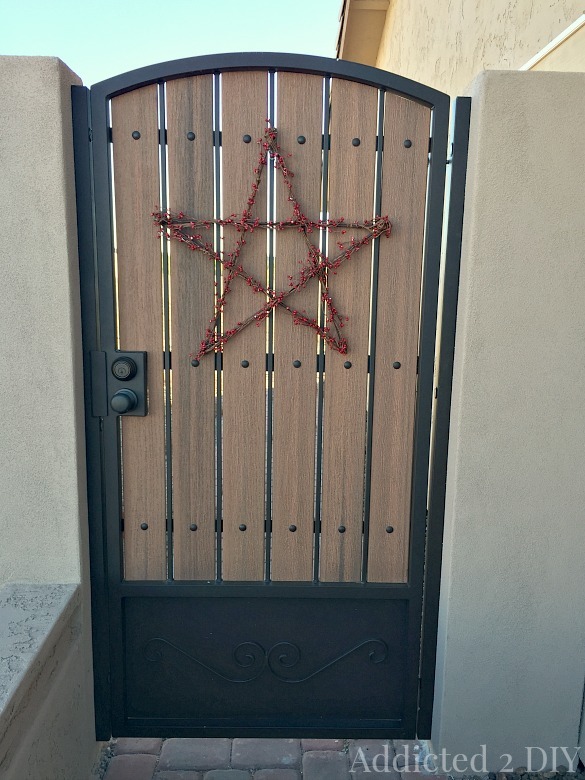 We had this pass through gate and a huge 16′ RV gate custom built and we love them. 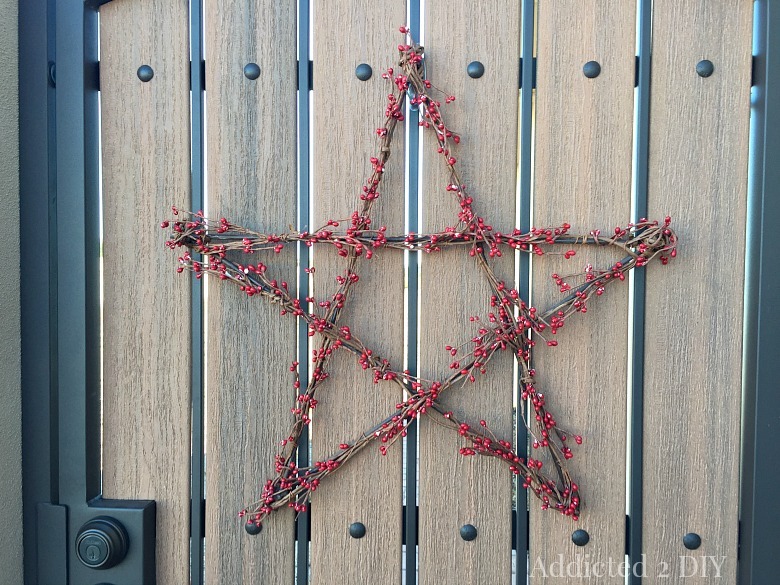 I knew the wreath would be perfect for this gate which is in our front courtyard. I just hung it with an outdoor Command Hook and it was finished. 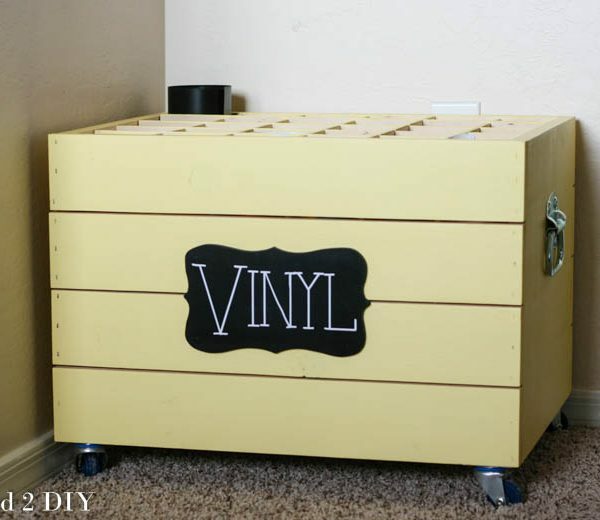 I love how this turned out and I may make a few more in various sizes to decorate inside my house. Since I already had the dowels, spray paint and twine, this entire project only cost me around $12. Quite the savings from the $199 price tag on the original. Have you started decorating your house yet, or are you waiting until the day after Thanksgiving to break out all of the Christmas decor? I’ll be honest, this is my first year decorating early. It feels a little strange, but I love the idea that I’ll get to have my Christmas decorations out a little bit longer. 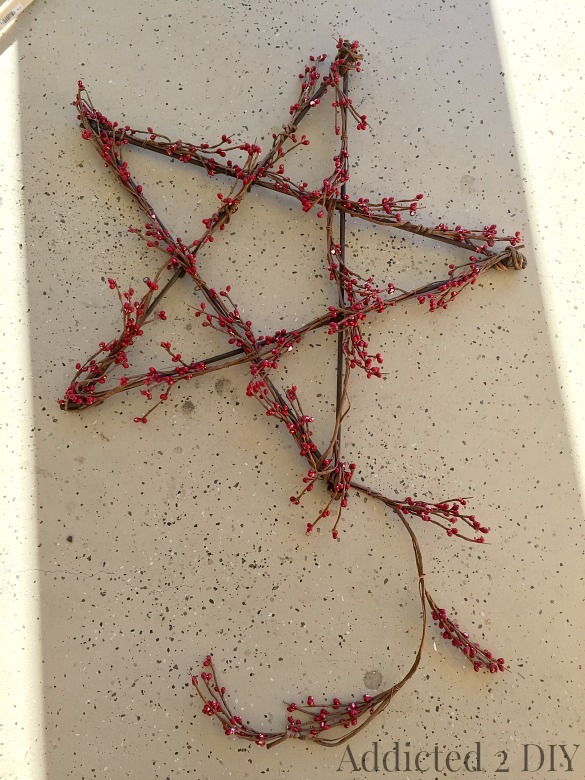 It is not a star, it is a pentagram ;( I would not want it hanging on my door, cursing everybody who comes though the door. Be careful!